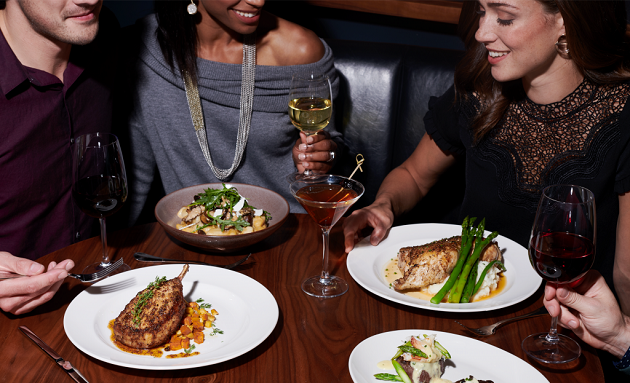 If you are a Del Frisco fan from Manhattan, you wax rhapsodic about the three little filets, incomparable service, exquisite wine list, and stylish wine/menu pairings. When Del Frisco’s Grille opened in Tampa, the classic bar and grill instantly became one of the best restaurants in town with a “see and be seen” bar, buzzing at happy hour. In addition to introducing a new fall tasting menu with succulent seasonal ingredients, patrons are invited to attend an upcoming wine dinner on Thursday, November 15, at 6:30 pm. Lewis Cellars Wine Dinner. Make your reservation now. The chef-driven, seasonal three-course menu is only $38 per guest (plus tax and gratuity) and an additional $19 with wine pairings. Fall flavors, from maple to pumpkin, subtlely infuse the dishes, each one a palate pleaser. For starters, the Huber Sparkling Rosé from Austria accents your choice of BUTTERNUT SQUASH BISQUE with Maple Mascarpone, Spiced Pumpkin Seeds or an iceberg wedge salad. The four showstopper entrees feature a CIDER-GLAZED HERITAGE PORK CHOP served with Sweet Potato & Apple Hash (Erath Pinot Noir | Oregon), salmon with roasted asparagus (Peter Yealands Sauvignon Blanc from New Zealand), truffled mushroom gnocchi with sherry porcini cream (Cune Crianza | Rioja, Spain) or the filet duo with Oscar and seasonal topping and choice of side (Orin Swift “Abstract” Red Blend | California). You could make a meal of just appetizers, especially the cheesesteak eggrolls, ahi tacos with spicy citrus aioli or deviled eggs with truffle chive vinaigrette. The sweet corn bisque paired with a salad is a light and lively meal. We particularly like the heirloom tomato and burrata salad or the kale and Brussels sprout salad with roasted almonds, dried cranberries, orange segments, shaved manchego and Creole mustard vinaigrette. In addition to the incomparable burger and steaks, dabble in seafood such as the pan-seared scallops with goat cheese polenta or beer-battered New England haddock with hand-cut frites. For comfort food, nothing beats the prime beef short rib stroganoff, followed by a caramel pot de crème topped with whipped cream. Ooo-la la! There’s a special $13 lunch deal with a choice of starters (soup, mixed greens or Caesar salad) and entrée (2 fish tacos, personal-sized flatbread, half harvest chicken wrap or half hand-shaved prime steak sandwich), perfect for business meetings or gossip girl catch-ups. Make it a brunch date and order bubbly and a Croque Madame (Toasted Brioche, Fontina, Gruyère, Cage-Free Egg, Thin-Sliced Ham, Garlic Crème, Mixed Greens and Strawberry Salad) or jumbo lump crabmeat benedict with Cajun lobster sauce. Brunch Saturday: 11:00 a.m. - 3:00 p.m.
Monday - Friday: 4:00 p.m. - 6:30 p.m.
Friday: 4:00 p.m. - 11:00 p.m.
Saturday: 3:00 p.m. - 11:00 p.m.
Del Frisco's is located at 4138 Boy Scout Blvd. They open daily at 11 a.m., closing at 10 p.m. Monday - Sunday and at 11 p.m. on Friday and Saturday evenings. 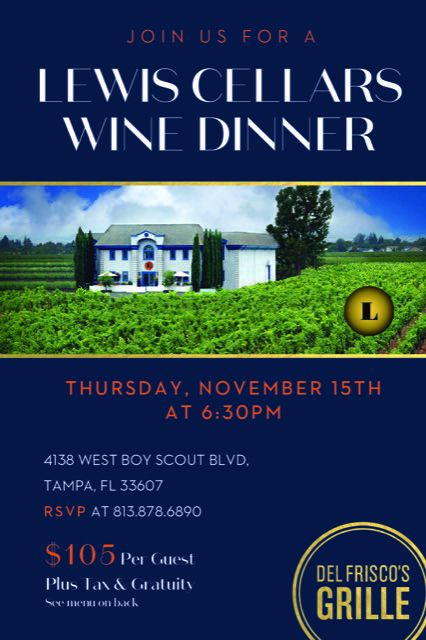 For more information, they can be reached at 813.878.6890 or make a reservation to secure your spot in advance! Reservations are accepted for indoor dining only. Patio seating available on a first-come, first-serve basis.